The six bills provided for under H.R. 21 provide funding at levels nearly 20 percent higher than the President’s FY 2019 Budget. For instance, H.R. 21 provides $12 billion more for international affairs programs, 29 percent higher than the President’s request. This includes $2.9 billion more than the request for economic and development assistance, including funding for the West Bank/Gaza, Syria, and Pakistan, where our foreign aid is either frozen or under review. It includes $700 million more than requested for the United Nations, including restoring funding for the United Nations Population Fund. The bill would also undermine the President’s Mexico City Policy (Presidential Memorandum of January 23, 2017), which prohibits the funding of foreign nongovernmental organizations that promote or perform abortions. Further, H.R. 21 includes approximately $2 billion in excessive Environmental Protection Agency funding, providing funds beyond the Agency’s core mission and including funding for programs that can and should be executed at the local level. The bill also includes substantial unrequested funding for HUD programs, including $7.1 billion above the FY 2019 Budget request for HUD rental assistance programs. These and other excessive spending items makes the lack of adequate border funding in the combined package all the more unacceptable. “The administration looks forward to working with the Congress to enact appropriations that will adequately secure the Nation’s borders and get the federal government back to work for the American people as soon as possible,” the statement concluded. 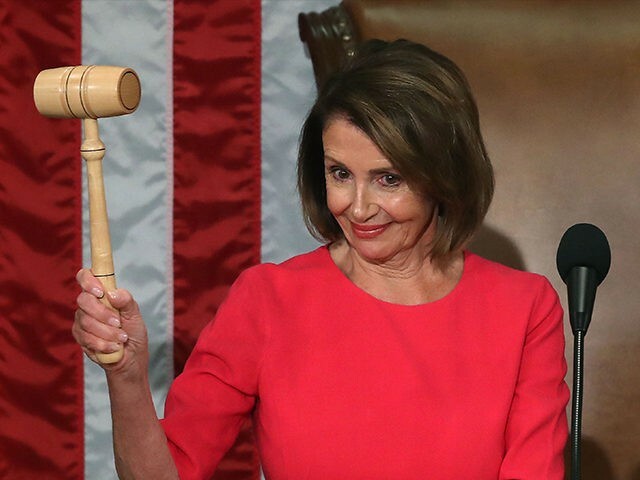 Update: The Democrat spending bills passed the House on Thursday night. The first bill, a continuing resolution to fund the Department of Homeland Security until February 8, passed by 239-192. The bill would “keep border security funding at $1.3 billion, providing no new funding for the barrier along the southern border,” the Hill reports. The second bill to fund the other six agencies through September passed by 241-190. Next Next post: Why France’s Yellow Vest Protests Have Been Ignored by “the Resistance” in the U.S.